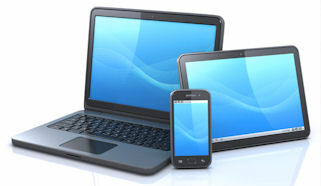 Are you ready for Mobile Computing? The increasing demand to access applications and data via mobile devices continues unabated. Smartphones and tablet computers are, for many people, becoming the preferred method of not only checking personal email, conducting online shopping/banking and viewing TV & other media but also for connecting up to their work IT infrastructure and accessing business applications. The use of mobile devices is also expanding rapidly in sectors such as healthcare, the military and emergency services as well as fulfilling the need to provide more traditional field-based individuals as such external sales teams with the latest information through SaaS offerings such as Salesforce Mobile etc. While the mobile network operators continue to improve bandwidth and connection speeds (4G / LTE will potentially offer an speed of 300 Mbps – and even more than this when LTE Advanced comes out) the reality is that this greater capacity could quickly be used up by new services that come to the market (as well as contention between users in the “backhaul”) – so any application you are developing or planning to deploy over mobile networks may still need to contend with limited bandwidth and slow download/upload rates. As an example, an iPhone displaying a 3G connection could be achieving anything from 384Kbps to 14.4Mbps depending on location, service provider and other network traffic. Other network characteristics such as latency and packet loss will also greatly influence the performance of applications accessed using a mobile device. The iTrinegy range of network emulators is well suited to the pre-deployment testing of applications intended for use on mobile devices as they can realistically replicate the network conditions encountered in mobile network environments. Accurately assessing application performance in a live network can be very difficult to achieve as the likelihood of having the same test conditions from one day to the next is remote. We have seen developers and testers leave their work buildings and even go into lifts to try to get the right test conditions, but this is ad-hoc and unrepeatable. As a result, it is difficult to determine if any changes in application performance are the result of changes made to the product under test or due to some external, unseen influences. 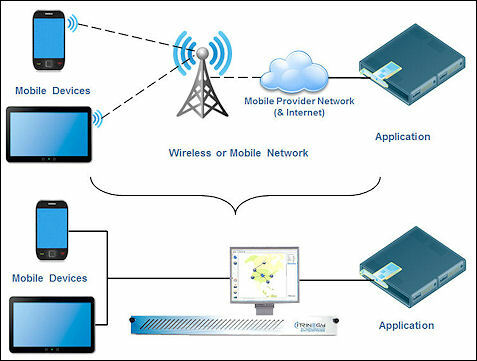 Testing a mobile application’s performance using a network emulator removes the uncertainties associated with using a live network as you can exercise complete control over the network set up and be confident that any changes in the way the application works are down to modifications you have made to the software itself or alternations to network characteristics created by using the network emulator.